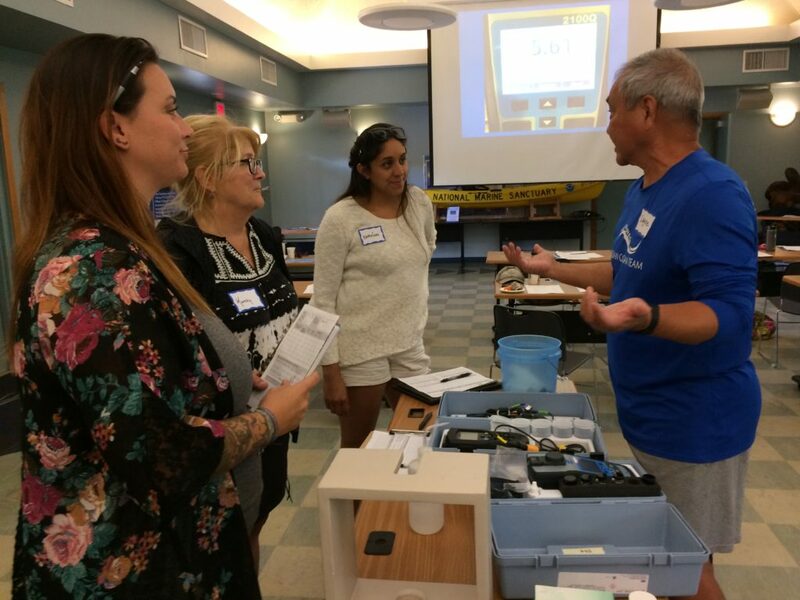 Hui O Ka Wai Ola, a citizen science, coastal water quality monitoring program was launched under a joint effort from the Maui Nui Marine Resource Council, The Nature Conservancy, the West Maui Ridge to Reef Initiative and University of Hawaiʻi. 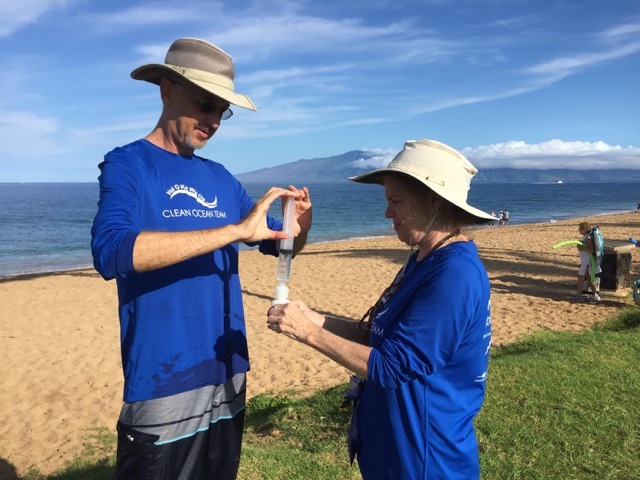 While similar efforts have been implemented around Hawaiʻi, Hui O Ka Wai Ola is the first community-based water quality monitoring program on Maui to measure for nutrients (including nitrogen and phosphorus) in coastal waters. Organization backers say nutrients can be indicators of sewage pollution and agricultural, golf course and landscaping runoff. Once in the ocean, these nutrients can lead to algal blooms. Algae, particularly invasive species, can quickly out-compete coral reefs for sunlight and overrun large tracts of living reef. Program leaders say sediment coming from construction and agricultural lands can also be detrimental. From 2012 – 2014, 90% of the Department of Health’s water quality samples collected on Maui failed to meet state standards for nutrients, bacteria, and turbidity (a measure of water clarity). Program leaders say these results, combined with other data, raise concerns about the health of Maui’s coral reefs. Nitrogen and phosphorus runoff from lawns and agricultural lands can lead to an overgrowth of algae in nearshore waters. Large rain events also cause sediment to flow off the land and settle onto the reef, where they can be re-suspended for a long time. Sediment can prevent sunlight – an important ingredient for coral growth – from reaching reefs. Hui O Ka Wai Ola collects water quality data at 17 sites along West Maui’s coastline, ranging from the Pali to Pōhaku Beach Park “S-Turns” in Kahana. Volunteers collect water quality samples to test for nutrients, while also measuring turbidity, salinity, dissolved oxygen, pH and temperature on site. They also collect samples to assess the total amount of sediment suspended in the water, which is especially helpful during large rain events. 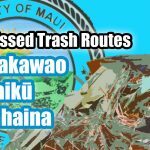 Program leaders say currently, a single DOH employee is responsible for collecting water quality samples across the entire island of Maui. 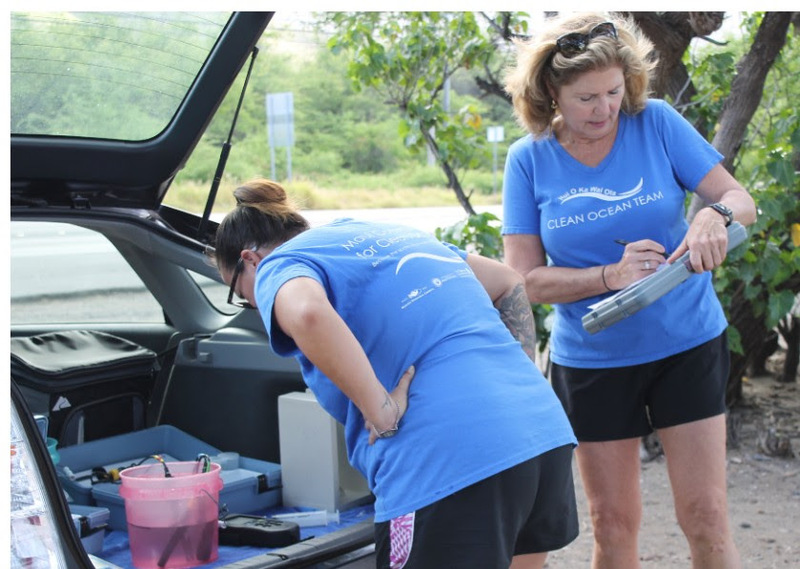 Hui O Ka Wai Ola’s water quality monitoring program aims to supplement DOH sampling efforts and ensure that regular monitoring takes place in priority watersheds. Community groups spent the past two years developing a Quality Assurance Program Plan for water quality sampling. The QAPP ensures that sampling procedures can both meet DOH standards, and that the data collected can be utilized by Department of Health. Hui O Ka Wai Ola extended thanks to Lahainaluna High School, for providing laboratory space, storage for supplies, and critical equipment.